Albertans will vote on April 16 in an election that will focus on who can pull the province out of a five-year economic downturn and break the impasse over pipeline construction. Premier Rachel Notley called the election on Tuesday, setting off a campaign that will give voters a choice between keeping Alberta’s first NDP government in office or electing Jason Kenney, whose United Conservative Party represents a return to the conservative roots that have defined the province through most of the past century. The campaign is expected to focus heavily on the economy and in particular how a lack of new pipelines has stalled the oil patch. The NDP came to office in 2015 shortly after a collapse in oil prices set off a recession that caused unemployment to soar and left a massive hole in the province’s finances. While there have been signs of a recovery, it has been slow and uneven, with more than 180,000 people still out of work. The writ drop also comes as Mr. Kenney fends off attacks linked to the 2017 UCP leadership race. The province’s election commissioner and the RCMP are looking into donations to one of Mr. Kenney’s rivals, Jeff Callaway, and recent leaks have shown members of Mr. Kenney’s team actively helped Mr. Callaway with speaking notes, graphics and other materials while ostensibly running against him. Mr. Kenney has denied any wrongdoing, insisting collaborating with opponents in a leadership contest is perfectly normal. Ms. Notley has accused Mr. Kenney of lying to Albertans about his involvement in Mr. Callaway’s campaign. Ms. Notley kicked off her campaign at a rally at the National Music Centre in downtown Calgary – a city where the NDP made significant gains in 2015 and where the party would need to maintain its support to remain in government. She acknowledged that the province’s resource sector continues to struggle and many people have not felt any signs of recovery. She promised a re-elected NDP government would continue to fight for the oil industry while protecting public services. She also pointed to the questions that have overshadowed the 2017 UCP leadership campaign as a sign Mr. Kenney can’t be trusted. "A growing number of conservatives here in Calgary and across Alberta are coming to have very serious doubts about Jason Kenney as premier,” she said. Mr. Kenney chose a backdrop for his campaign launch that offered a sharp contrast to Ms. Notley. While the NDP Leader appeared with children at a music museum on the edge of downtown Calgary, Mr. Kenney stood outside Edmonton with a group of oil workers in hard hats. “We’re here to talk about jobs, the economy, pipelines and a fair deal for Alberta,” Mr. Kenney told reporters at a quiet oil field services yard in Leduc, south of Edmonton. “The people who have been damaged by the ideological, job-killing policies of the NDP government and their alliance with Justin Trudeau." He called Ms. Notley’s four years of office “a record of total failure” on the economy and he blamed her policies, including the carbon tax and a hike in minimum wage, for worsening an economy that was already ailing when the New Democrats took office. Mr. Kenney shook his head when a reporter brought up the UCP leadership campaign and offered a simple “No” when asked whether it would affect the election. Mr. Kenney has already announced the broad outlines of his economic strategy, promising to cancel the province’s carbon tax and cut corporate taxes by one-third despite a nearly $7-billion budget deficit. He also promised to hold a referendum on equalization payments unless Prime Minister Justin Trudeau ensures a pipeline is built to one of Canada’s coasts and cancels legislation on federal environmental assessments. 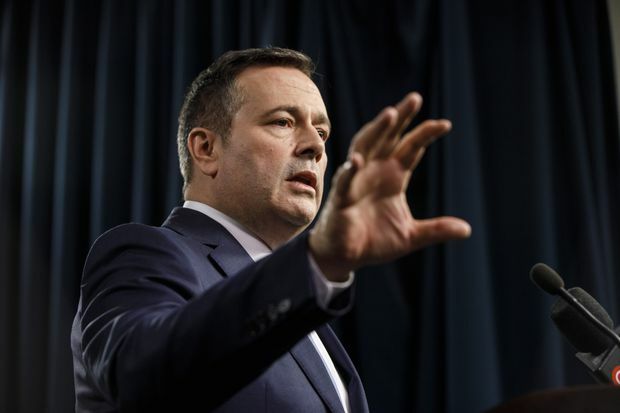 Mr. Kenney has argued the current equalization formula is unfair because Alberta is considered a “have” province despite its current economic problems. That means Albertans pay into the system through their federal taxes, but the province doesn’t receive any equalization payments. The province does, however, receive billions in transfers from the federal government for other programs. Monday’s Speech from the Throne offered a rough outline of what the NDP will campaign on. The speech promised legislation to protect public health care by preventing an increase of privatized health care and prohibiting queue jumping, as well as a pledge to expand publicly funded daycare spaces. 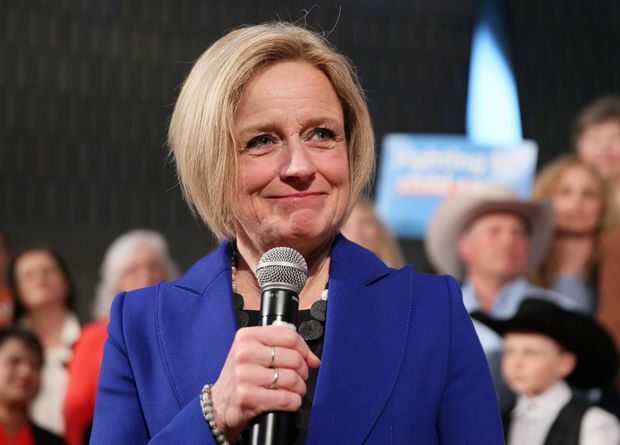 On the oil industry, Ms. Notley has outlined a plan to spend $4.5-billion to lease rail cars to ship Alberta crude. She imposed production cuts that have increased prices and handed out billions in grants and loan guarantees to encourage upgrading and refining projects. The Alberta Party and Alberta’s Liberal Party also held events Tuesday as they hope for breakthroughs. Each party elected one member in 2015, although the Alberta Party has added two other MLAs through floor crossings. Late Monday evening, UCP candidate Caylan Ford resigned after PressProgress, a left-leaning news site run by the Broadbent Institute, published what it said were transcripts from a private Facebook conversation in which Ms. Ford spoke about white people being replaced in their homelands. Ms. Ford said the chat transcripts were distorted and that they don’t reflect her views. Another donor to Mr. Callaway’s campaign was fined this week for donating money that wasn’t his, according to a notice posted Tuesday to the province’s election commissioner’s website. Darcy McAllister was handed two fines – $4,000 for contributing “funds given or furnished by another person,” and another $4,000 for furnishing a donation made by his wife, Maja McAllister. In addition, Ms. McAllister and David Ruiz were handed letters of reprimand for donating from another person. Late last month, the commissioner fined another donor, Karen Brown, $3,500 for the same offence and also fined one of Mr. Callaway’s staffers, Cameron Davies, $15,000 for obstructing an investigation. He is now co-operating with the investigation.